***What's new in V1.0.0.3*** - Fixed the bug that this game keeps crashing on level 10 and closing game Do you still play match-3 game which is out of fashion? AE Cap Mania is coming! Switch and match your way in this crazy puzzle adventure. This is a crazy cap world. 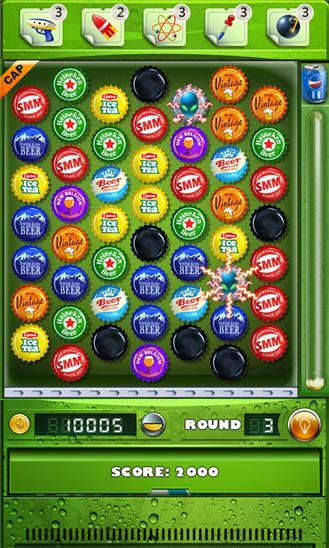 Colorful caps, fresh interface, dynamic sounds, vivid animation and crystal clear bubble, all those will let you feel that you are in a cool summer full of delicious beverage. Welcome to the crazy world of cap and challenge it! Any feedback please emails us, because we can’t reply on comments. Thanks very much for all your support in our games! 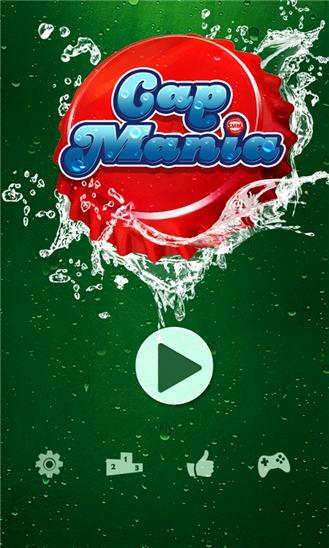 Game features: 	Classic game mode make you can not stop playing. 	Bonus Round make it more interesting. 	7 kinds of special caps will give you a big surprise! 	Easy and fun to play, but a challenge to fully master! 	Colorful caps and wonderful sounds bring visual and auditory double enjoyment ! If you like Mad Caps, Popcap, Candy Crusher Saga, Candy Village, Jewel Mania, Jewel Galaxy, Frozen Free Fall, PopStar, Flappy Bird, Minion Rush, Anger Birds Go, Fruit Ninja, Temple Run, or other puzzle games, you shouldn’t miss this game !